THE TOTAL PRICE IS FOR TWO PAINTERS. Please include the name of your guest in the Seating Request option during registration. 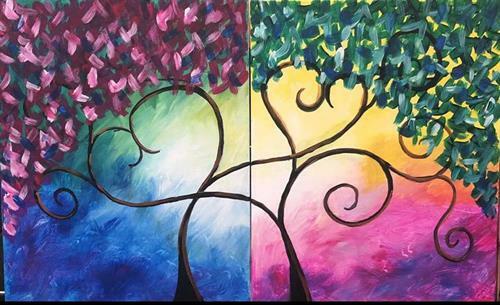 Each couple receives all painting materials, TWO 16x20 canvases and TWO drink tickets (one per person). Drink ticket offerings will be available at the time of the event.